In Lewis Carroll’s Alice books, up is down and down is up in a satirical inversion of the real world, of literature, of maths and puzzles. In a suitably Carrollian scenario, I’ve found myself agreeing with the point of view of a right-wing columnist in the Mail on Sunday whose work I normally despise. In Peter Hitchens’s one-paragraph dismissal of Tim Burton’s Alice in Wonderland, he wrote: ‘We live in the age of deconstruction and the post-modern. Burton… appears to have turned [Alice] into Willy Wonka meets Lord of the Rings.’ Unfortunately I think he’s right, and Disney’s new live action adaptation may come as a surprise to audiences familiar with the studio’s 1951 animated version of the story. This is not to say that Tim Burton’s made a bad film, more that this is a missed opportunity. This new adaptation is both a reimagining of, and sequel to, the Alice novels. I suppose audiences shouldn’t be too surprised that this is a film aimed at older audiences than the single-digit ages the original Disney Alice was made for, as even Burton’s most child-friendly films as director/producer - Pee-wee’s Big Adventure, The Nightmare before Christmas, Charlie and the Chocolate Factory - had a level of darkness and subversion to them. However, the delight in whimsy, ideas and neologisms that typifies both the original novels and the Disney cartoon only appears infrequently here, which is a shame because the parts of the film that are faithful to the original story show that Burton could have made the definitive live action version. The Alice adaptation everyone was expecting in the 00s was an even darker sequel based on the computer game American McGee’s Alice - to have been scored by the likes of Nine Inch Nails and Marilyn Manson and directed by Wes Craven. 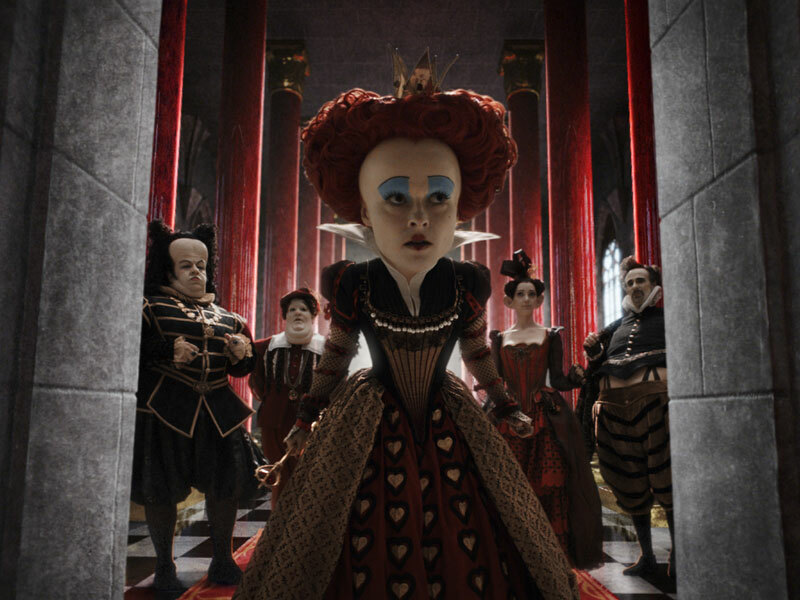 Burton’s Alice is halfway between American McGee’s Alice and Disney’s original. It’s aimed at teens rather than tweens, and it features an early scene showing Alice gored by a razor-mouthed and clawed Bandersnatch, which has an eye plucked out by a mouse wielding a rapier. In conjunction with the release of Tim Burton’s new film, BFI Southbank are presenting the many previous adaptations of Alice in Wonderland in March. More information on the BFI website. While fans of Disney’s original Alice may be dismayed by this Fighting Fantasy approach to the material there are still plenty of lines of dialogue from the original intact and the CGI rendering of anthropomorphic animals - talking horses, frogs and dogs - is the most impressive I’ve seen on screen so far - although bizarrely the CGI rendering of humans on horseback looks like the jerky movements of marionettes, which makes you wonder why they didn’t use real stuntmen. The technical necessities of converting the film into 3D mean there is a lush primary-coloured hue to many of the characters and scenes - except when Burton goes into goth mode and juxtaposes the familiar characters with dark, monochromic backgrounds. However, many scenes have an incongruous roaming camera designed to accentuate the 3D thrills of the cinematic presentation and the conversion into 3D has necessitated the blurring of backgrounds, limiting the tools of wide-angle lenses and long-shots available to the cinematographer. In terms of sets, costumes and characters, Alice is a more rewarding film than the recent Avatar, where the incomprehensible budget was tempered by the very average imagination and plot. Alice, of course, even when made needlessly dark for this adaptation, is fuelled by one of the most outlandish imagination in Victorian fiction and it’s terrific to see this rendered by the latest technology on the highest resolution - IMAX - format possible. The greatest strength of the film is the acting, with Alan Rickman voicing a louche Blue Caterpillar in the centre of a terrific British-centric cast that includes Matt Lucas, Stephen Fry, Paul Whitehouse, Timothy Spall and Burton favourite Christopher Lee as the voice of the Jabberwocky. While Johnny Depp and Helena Bonham Carter are reasonably entertaining, though perhaps becoming over-familiar and overused in Burton’s films, Mia Wasikowska is a terrific adult Alice, a rebellious debutante and ingénue who becomes a thoughtful woman and reluctant warrior over the course of the film. With such performances, it’s noticeable that the scenes centred around humans - the awful pomp and ceremony of a 19th-century engagement party at the beginning, the hilarious prosthetic-wearing retinue of the Red Queen - are actually some of the best in the film. In contrast, the sword and sorcery subplot shoehorned into the narrative sits uneasily with the original characters. Watch the restored first version of Alice in Wonderland from 1903! 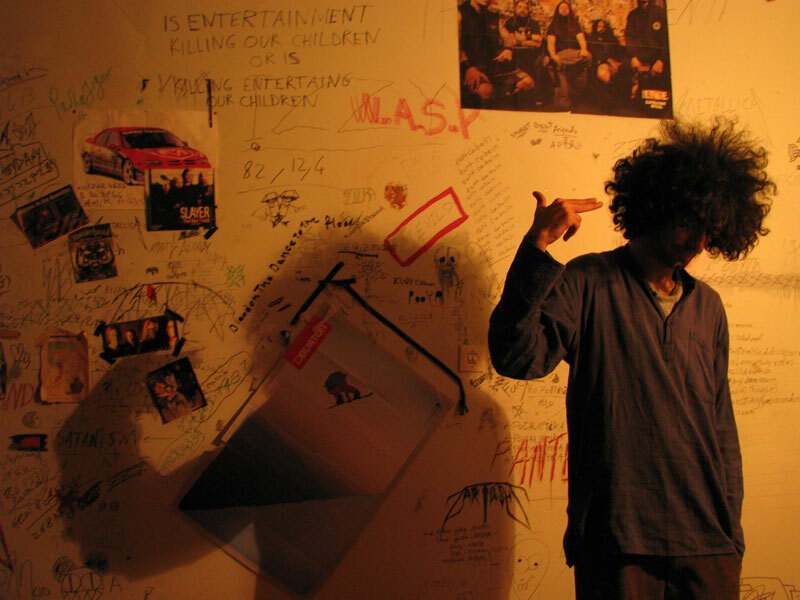 Bahman Ghobadi’s exploration into the world of underground music in Tehran is a welcome antidote to the blasé, pedestrian, apathetic state of the music industry in the West. While we gorge ourselves on MP3 downloads and bit torrents to a point where music is seen as a free commodity, made virtually valueless by a virtual world, in Iran, any acquisition, enjoyment or creation of music (especially Western music) is forbidden by the authorities. So as the film follows a couple of indie kids (Ashkan and Negar) trying to form a band by meeting different musicians around the city, they’re not just chasing the rock’n’roll dream, they are fighting for their lives. No One Knows about Persian Cats is an interesting hybrid of drama infused with truth, although it could easily have been a documentary. The director’s passion for music saturates every frame of the film and he even appears in the opening scene singing in an underground studio, which sets the tone for the rest of the film. Amidst the drama and the perpetual sense of danger, there are some fantastic comic scenes as well as a lot of musical set pieces. At points it seems as if the whole purpose of the film is to showcase various Iranian bands, with the story being secondary. Although a lot of the music is actually quite good, with each new band or musician comes another set piece and another ‘promo video’, which sometimes seems a little obvious. Many of them feature flashing images and scenes of the darker side of city life (especially in the hip-hop scene). Special screenings with the lead actors + a live PA with their band Take It Easy Hospital followed by a set from DJ Shahram on the following dates: March 23, Ritzy Brixton Cinema @7.30pm + March 31, Ciné Lumií¨re @ 8.00pm. Yet this is conversely one of the most endearing aspects of the film. As Ashkan and Negar explore the depths of the underground scene, they see a surprising array of different genres, and music snobbery doesn’t get a look in. They meet a singer-songwriter with wonderfully poetic lyrics about the struggle for freedom and a heavy metal band who practise in a cowshed as they were forced out of their village; they go to a rave at a house party and meet an indie-funk band who rehearse in a space built on the roof of a building (whose neighbours constantly report them to the authorities so they keep getting arrested). Encounters with the authorities are par for the course for these musicians. Ashkan and Negar have recently been released from prison and have been invited to play a gig in London but have no band and more crucially, no passports or visas with which to make the trip. It’s hard to believe that their twee, casio-based indie pop would rile up the authorities too much, but the mere fact that they are expressing themselves artistically and touching on subjects outside of the rigorous Iranian dogma means that they have to be very wary. Negar is even more at risk as women are forbidden from singing due to the emotions they can stir. No One Knows about Persian Cats also screens at the Flatpack Festival in Birmingham on March 24. Things start to look up when they meet local DVD bootlegger and all-round blagger Nader; he introduces them to a forger who can help them with visas and passports. This scene is flecked with gentle touches of humour as the old forger asks Nader for bootleg DVDs of films with more action and less romance. As every commodity is bought and sold on the black market, Nader has a good little niche for himself copying films and music from the West, and he becomes the musicians’ ally in trying to help them both escape Iran and set up a concert in order to raise funds. One of the other really masterful scenes in the film is when he gets arrested and talks his way out of a flogging, prison and a fine with quick-fire dialogue and perfect comic timing. The film opens up a world that even most Iranians don’t know exists. These indie bands look like they’ve just stepped off the pages of the NME, yet are in constant fear of that knock on the door, and we follow them through tunnels, up stairs, down basements and back alleys as they insist on creating art and having a voice despite the dangers. The dream of going to the West, or in Ashkar’s case, of going to Iceland to see Sigur Rí³s, seems like an endless struggle when you are constantly looking over your shoulder. Despite all of the obstacles, rock music is still being created in Iran by these rebels with a cause. This bold and inspiring film was obviously a great risk to make but it is ultimately rewarding for its audience. Recommended for all music lovers but especially to struggling musicians who should know that however tough they think things are, they can’t be nearly as bad as they are for these Persian Cats. A woman wakes up in a trashed apartment, covered in bruises, with deep, painful scratches carved into her shoulder. In the shower, blood streams off her aching body. Still in shock, Julia (Martina Gusman) only realises hours later that two men are in the flat with her - one, her boyfriend, has been stabbed to death, the other - Ramiro, her boyfriend’s lover - is badly injured but still alive. Unable to remember what happened, she’s thrown into jail by the police, where she soon discovers that she’s pregnant. Lion’s Den, the fifth film from Argentine director Pablo Trapero, could not be further from the exploitation films that characterised the women in prison genre in the 70s. 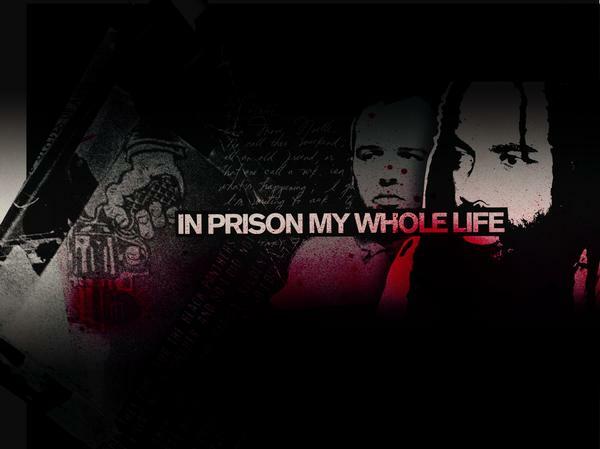 The movie is named for the penitentiary units where women with children are housed during their incarceration. In Argentina, the children are allowed to remain inside with their mothers until the age of four, when they’re removed by the Court and either placed with a relative or in state care. Julia finds herself in a shockingly decrepit cell. The other mothers are mostly uneducated, peasant women, in sharp contrast to Julia’s rebellious but upper-class character. Trapero captures all the gritty realism of life in prison, but the film also has the feel of a slow-burning thriller - as Julia adjusts to life on the inside, her case pits her against Ramiro (played by Rodrigo Santoro), who accuses her of being solely responsible for his lover’s death. With her life shattered, Julia struggles with motherhood. Unable to breastfeed after her son, Tomí¡s, is born, she’s helped by her cellmate Marta, who intervenes when the baby’s cries begin to drive the other mothers and children over the edge. 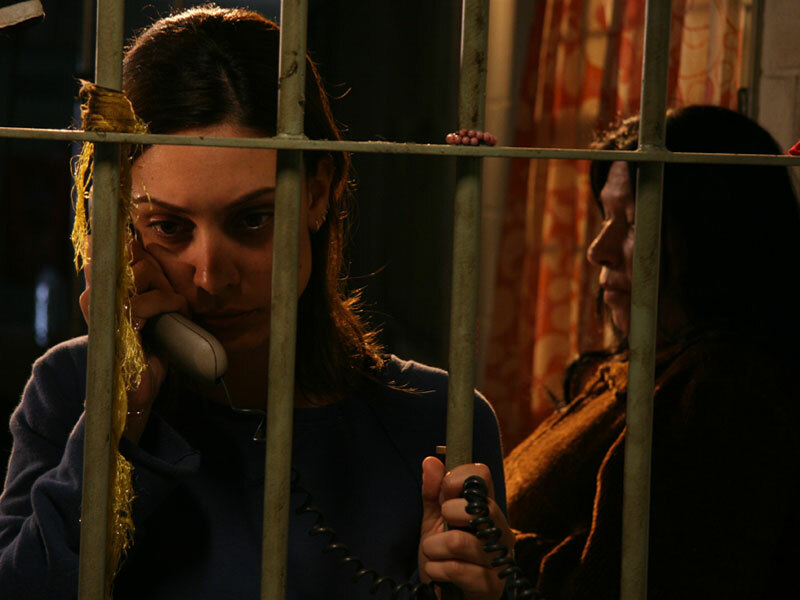 Older and more experienced, Marta takes Julia under her wing, eventually leading to a relationship between the two women, who manage to find some small comfort in the confines of the prison. But the wheels of justice are grindingly and appallingly slow: Julia gives birth and raises her baby behind bars without ever going to trial. As Tomí¡s gets older and approaches the all-important age of four, Julia’s distant, beautiful and unwelcome mother (played by the singer and actress Elli Medeiros) intervenes, returning to Buenos Aires from her life in Paris to take over the role of looking after her grandson, with disturbing and dramatic consequences. Filmed almost entirely within an existing women’s penitentiary, using real inmates and guards as extras, Lion’s Den is a deeply harrowing film. Martina Gusman, who won the FIPRESCI International Critics’ Prize for best actress, delivers a powerful performance as a determined mother who will do anything to keep her child. While the film, released so soon after Jacques Audiard’s A Prophet, may not be as polished, or as entertaining as the French thriller, it is a more brutal, realistic and morally ambiguous portrayal of life in prison. Although the film’s ending may seem a little unconvincing, Trapero never offers the audience any easy answers. We never really discover the truth behind the murder, and are left to decide whether a mother’s love for her child is more important than an innocent child’s right to freedom and a life outside prison. Guy Maddin’s The Saddest Music in the World looks like it was rescued from a vault where old films were carelessly stored. It’s grainy and patchy, and atmospherically shadowy, flickering into colour occasionally and then back to icy tinged monochrome. It looks like it was filmed inside an intricate snow globe, and creates a visually perfect world for the delightfully skewed tale that unfolds - an unexpected, but seductive marriage between a Grimm fairy tale and a musical melodrama, full of sparkling one-liners. While the music is eerily, beautifully playing in the background, a wonderful, warped family drama takes centre stage. Chester Kent (Mark McKinney), with the moustachioed countenance of a bounder, has closed his heart to the tragedies of his Canadian past - the collapse of his mother as she sang, her death throes on the keyboard of a piano - and assumed the razzamatazz showmanship of an American producer. His current amorata Narcissa (Maria de Medeiros), a charming changeling wrapped in fur, has escaped from her own personal trauma by forgetting it ever happened, living in a world of sensations, eyelashes aflutter, tender little voice breathing out a song, or a declaration of intent: ‘No, I’m not American, I’m a nymphomaniac.’ Amnesiac Narcissa is the wife of Chester’s estranged brother Roderick, played with lugubrious Deputy Dawg sadness by Ross McMillan, who is grieving for the loss of their child. Covered by a veil as black as night, and carrying a jar with his son’s heart preserved in tears, he is the entry for Serbia. Their father Fyodor is involved too, a doctor who is hopelessly, remorsefully in love with Lady Port-Huntley. Crushed by guilt over the tragic events that left her legless, Fyodor has created transparent glass limbs filled with her own sparkling beer for his beloved. But even though Lady Port-Huntley loves her legs, and their dancing capabilities, her bitter, sharp heart, in a neat, complicated twist, belongs to Chester. As the family circle around each other, nursing old grudges, mourning recent losses, suffering emotional pangs, Maddin creates a dark spell of a world for them to wander through, with mysterious dream sequences, funerals on ice skates, beer ads, tram rides, sleepwalkers, a carousing ice hockey team, a masked orchestra, and Chester’s perky musical numbers, which get more hectic as the competition progresses. The film crescendoes with glass shattering, pianos burning, sobriety abandoned and lovers embracing. The Saddest Music in the World is weird and wild, bold and beautiful and utterly enchanting. Borne out of the B-movie era, Kiss Me Deadly ditches as many noir tropes as it holds onto. From reverse opening credits to an apocalyptic finale, at times the only thing that feels as if it has been gleaned from its pulp source is the sneer on the face of its protagonist as he hurls a gangster down a set of stairs, or slams a drawer on the fingers of a cagey mortician. P.I. Mike Hammer awakes strapped to a metal bed, listening to the screams of Christina Bailey as she is tortured to death with a pair of pliers. From that moment, Hammer becomes a man resurrecting the dead, reconstructing Christina’s past from clues and fragments. It is a fever that all detectives suffer from and never overcome, and the film is bleak, thick with the haunting presence of Christina Bailey repeating her refrain: ‘remember me’. All angles and uplights, Kiss Me Deadly uses its German Expressionist heritage to great effect, as the camera jumps and cuts from the depths to the heights of the set, and chiaroscuro shadows shroud its characters in darkness, as they move from the nether-regions of LA, to a flame-drenched, atomic finale in Hell. Jason Wood is the author of a number of books on cinema, including 100 Road Movies and 100 American Independent Films. Next screening: Wednesday 10 March – Guy Maddin double bill: Careful + The Saddest Music in the World. More details on our events page.